Yeah, global warming is real. What now? If global warming keeps on going, Earth’s temperature might increase by 41.7ºF. This report studies the impacts we might suffer from climate change. 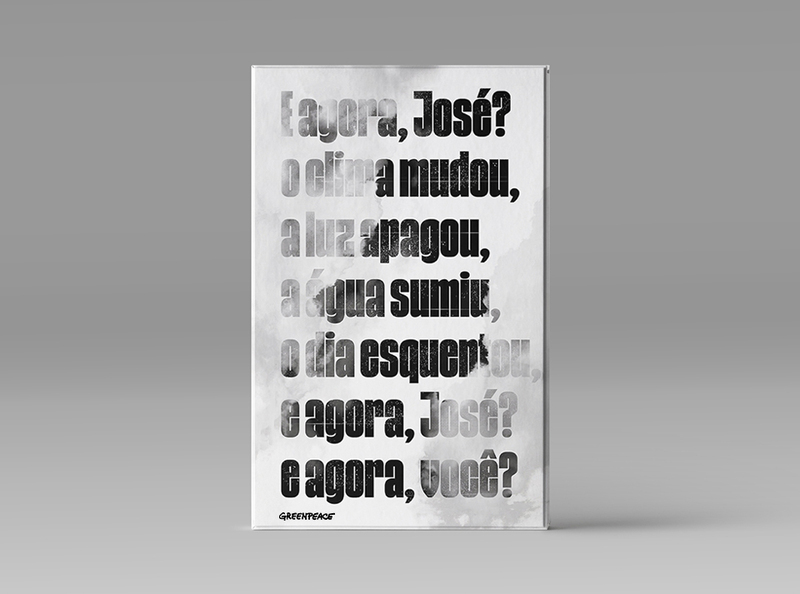 In a humorous tone, copywriting makes reference to a famous Brazilian poem by Carlos Drummond de Andrade, “José”. 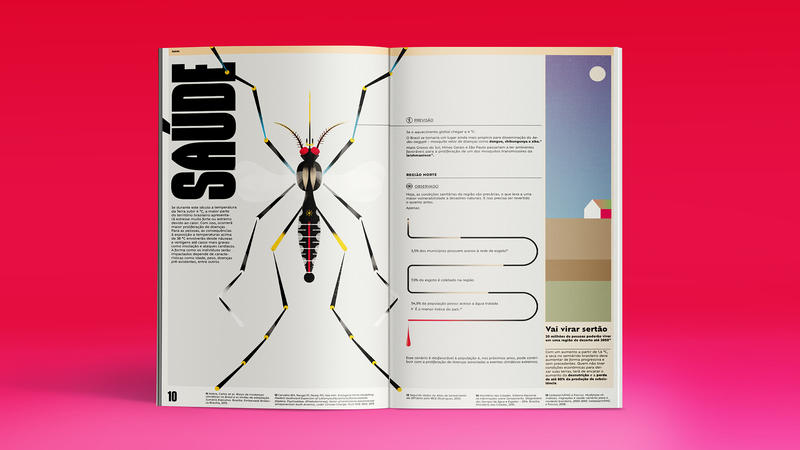 Editorial project is based on heavy type titles set in Gothiks, long texts set in Ofelia, light color gradients and a combination of infographics and geometric illustrations.